We are all essentially the same, which is why we must respect our differences. As we go about making sense of our world, the ways in which we’re different inevitably dissolve into a recognition of sameness – life experience keeping us in oscillation, back and forth. In our explanation of the Aphorism of Respect, for Groups, we identified this fundamental dialectic of the ‘other’ as a positive and clear regard for another besides oneself. 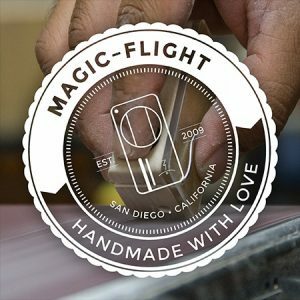 At Magic-Flight, these powerful insights guide our deliberate efforts to engage our customers and each other – as a community. 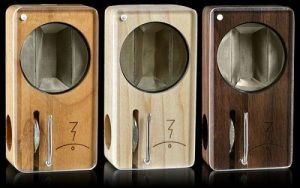 Our Premium Launch Box line features wood styles that have been chosen for their uniqueness and exquisite natural beauty. Cherry and Walnut woods are an exciting addition to the Launch Box line, traditionally these trees are used far less often in woodworking applications than their more popular counterparts, Maple and Pine. These Premium Boxes are cut and shaped by hand with the highest quality Select Grade A lumber in our wood shop by our line of gifted artisans. These delicate woods require the utmost care and attention during the shaping process and are of a higher caliber than our typical Maple Box. Soil, wind, sun and seasons all have an impact on the look and character of the wood. Please make note that due to these natural and distinctive qualities, there will be a wide range of hues and variances between each individual Premium Launch Box. If you are really wanting something unique take a look at our Curly Maple Bare box in Connoisseurs Club…only a few more of these left and then they are gone forever. This entry was posted in Aphorisms, Products, Uncategorized by Magic-Flight. Bookmark the permalink.